Discussion in 'Guitars in General' started by CarlGuitarist, Apr 21, 2016. 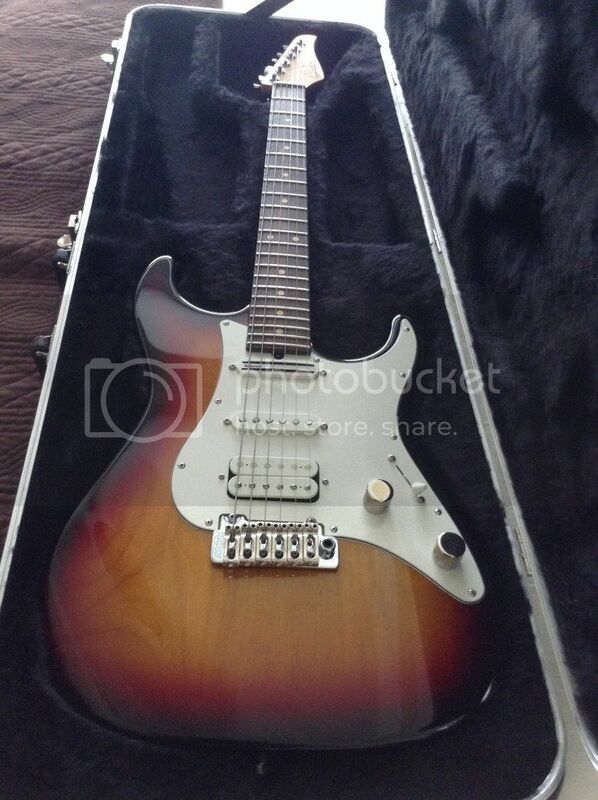 I'm thinking about getting the cruisers and AT model humbucker for my Suhr Classic Pro. They'll be replacing a SSV and 2 V70's. Will I have to change my pots as well? Anything else i should think about? EDIT: made my question a bit clearer. No need to change the pots. My early Suhr Pro1 had exactly this done to it before I traded for it. As for the pots, it depends what you want it to do, and there must be other ways to mod it to get all 9 tonal option, adding switches etc, but this is as user friendly as it gets. The push/pull tone pot on mine makes all options a breeze and effective on each option. I wouldn't attempt wiring this thing this way however, way over my skill level. The gentleman I got it from had it done by a Nashville GC tech. I imagine he'd have to know his stuff. It works flawlessly. It sounds great, records really well, but I do consider selling or trading it, as I'm a single coil guy at heart. If you're interested in trading, PM me. I have the original pickups, which are the higher output versions. Not only would I not care to order a new pot and possibly new switch for it, or purchase a whole new loaded pickguard, I'd hate to mess up what actually is a really hot setup. Well, at least I can offer my positive experience with this setup. A qualified guitar tech should be able wire this conversion easily enough, but this schematic would require and push/pull tone pot and possibly a different switcher, don't rightly know. Not really necessary for me to get all those options though. A 5-way switch would most certainly do it for me. But it seems like your pleased with the sounds you're getting, and that's what I wanted to find out! The cruiser seems to be the perfect middle ground between sc and humbucker. Then again I like single coils myself. Might just save up for an AT10p, they're not stupid expensive after all. What value are the pots in your guitar now 250K or 500K or a mix? The Timmons setup is AT-1 bridge and two Cruiser bridge models (DP187) in the neck and middle with all 500K pots and a .022uf cap. He also has a treble bleed on the volume but I'm not sure of the exact value for that. The Cruiser Andy uses in the neck and middle are bridge Cruisers, which does have a somewhat unique character, clean or with higher gain. As I recall from the one time I looked under the hood, the pots are of the same values as mine was stock: 500k volume and 250kk tone, which is the same as the original Suhr speck pdf that Suhr was kind enough to send to me. The original treble bleed looks to be intact also. The switcher may be as well, as well as the original caps, which show on the pdf as .047. Keep in mind though that this is am early version, pre-s.s. frets and noise reduction system, and the cap values may differ from the newer models. I also can't say for certain whether the HBs are split or tapped. I'm certain that Suhr will email the spec sheet and schematics for your exact serial #. I was impressed by their excellent CS response to my questions. I'm still undecided what to do with this guitar. I like Suhr pickups, and may just order a loaded pick-guard with the SSV and 2 V70's, or I may enjoy its current arrangement, or sell or trade it for a Strat or Tele. The older necks are slim 60 carves and I lean toward chunkier necks. Treble bleed comes standard on most Suhr, but mine doesn't seem nearly as good a Timmons. I loose treble almost instantly when rolling down the volume. Do I need the f-spaced AT-1 or the regular one? Was not able to upload my diagram to Photobucket unless I pay Adobe to convert the file. This is the first guitar I've owned with a treble bleed. It functions better than I had expected. Mine is quite different with just two knobs: master volume and tone. You can keep that pot setup and the resistor that lowers the 500K to closer to 250K for the singles but the singles (cruisers in this case) will be a bit darker than if they were all 500k pots. As for the treble bleed I've found that they aren't a one size fits all item and can react drastically different depending on the pickups used along with pedals and amp they are run through. Every company seems to use different values for treble bleeds and they all act different. If you want it to sound and function like the Timmons sig guitar and the cost isn't a problem you're probably better off buying new 500K pots, a .022uf cap and a regular 5 way switch and just removing your Suhr harness as a whole and wiring up all the new parts as a new harness. That way you could go back to the Suhr setup if you wanted just by soldering the hot wire from the jack and two ground wires and that's it. The Timmons sig guitars don't split the humbucker or rail in the #2 bridge+middle position so a regular 5 way switch works fine, no need for a super switch like you have in your guitar currently. I wired up a customers guitar like this a while back with the same pickups since he's a Timmons fan, thus why I remember it all. You want an F-spaced AT-1. Great info, thank you very much! My local tech will be pleased with clear instructions haha. I guess this will do the trick? No problem. For the 5 way switch go with a USA made CRL switch, they're much better quality than that Ibanez switch. If you're getting it off ebay just search for "CRL 5 way switch"
"I've got a bummed switch on my ibanez at300. I brought it into the local shop thinking any 5-way switch replacement would do the trick. Turns out because the 4th position splits the bridge humbucker and combines it with the middle single I need a specific ibanez switch: the VLX-53. The guy at the store said these are prone to problems. Anyone know of any alternatives? If not, anyone know where I can buy a VLX-53? I haven't found any sites selling them..."
So looks like if I want the full package I'll have to buy one of those. Question is if it's even worth it. I'm sure the 4th (which I would call the 2nd) position will sound just fine anyway. So thanks again! Here's the Ibanez diagram for the AT300 which is the same as the 200 and 100 wiring. No split shown, so you can use a regular 5 way switch. If you get the Ibanez switch it may not align with the holes in your pickguard and won't use the same screws or switch tip since it's metric and has a smaller blade for the tip to attach to compared to the USA made switches Suhr uses. Perfect, sorry for being a hassle man. 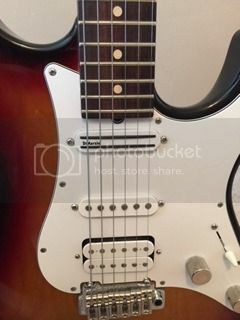 Question- I have wondered if these pickups with a Parallel Switch ( the two coils of the pickup in parallel to each other) get much 'stringier' and thinner sounding when you want really transparent Vintage Tones or even Rickenbacker type tones etc. I did this years ago on an HS 2 middle PU and in Parallel it was ' quack city' even in combination with Humbuckers ( H -S-H). Anyone tried the Cruisers with a Series/ Parallel Switch ? The cruisers sound best in series. I prefer the AT1 in parallel with the middle cruiser for a better quack.